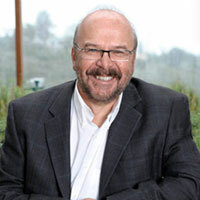 Image Credit: Eran Mukamel, Department of Cognitive Science, University of California, San Diego. connectivity are far from understood. The profiling of molecular signatures of cell types, such as transcriptome or epigenome, has emerged as a highly powerful and scalable approach for cell-type classification. We are exploring the diversity of brain cells types using epigenomic signatures. 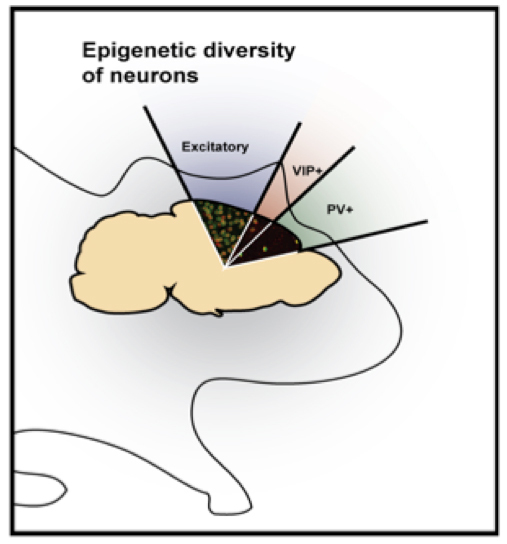 We have demonstrated pervasive epigenomic diversity including dramatic DNA methylation differences between neurons and glia, and further between excitatory and inhibitory neuron subtypes in the mammalian brain (Lister et al, 2013; Mo et al., 2015). The shear number of cell type specific DNA methylation features in both CG and non-CG contexts suggest epigenomic maps can be more information-rich than transcriptomes (Henikoff 2015). These findings open the possibility of producing a catalog of brain cell-types solely defined by methylome signatures. We are developing experimental and computational methods to discover and test DNA methylation signatures that define brain cell-populations in mice and human.